The millennials of this generation are by far the most photogenic era of individuals to ever exist- and why wouldn’t they be, they have access to top notch editing tools to make every post perfect right on their cell phones! #Instafame right? What agency represents you-Instagram? –But all jokes aside, this is the current status for millennials to get an edge on the competition. Hence, why their view on plastic surgery and cosmetic treatments, whether invasive or non-invasive, are so different from past generations. After speaking with Angela, a fellow millennial and up and coming model who recently underwent lip injection enhancements, I began to understand the rise in the current trend and the overall affect it is truly having on society. For Generation Y, social media is a part of everyday culture, not just for fun and games, but for building brands. Of course, millennials feel pressure to keep up with their own filters. Instagram and other social platforms are constantly challenging reality in our efforts to gain “likes”, followers or potentially get noticed by the “right” people. Angela states, “Although there is a dramatic increase of young adults seeking plastic surgery because of social media, it is still controversial. Many girls still want to hide even as it becomes more and more routine. It is so important though not to just jump on the bandwagon but really do your research. 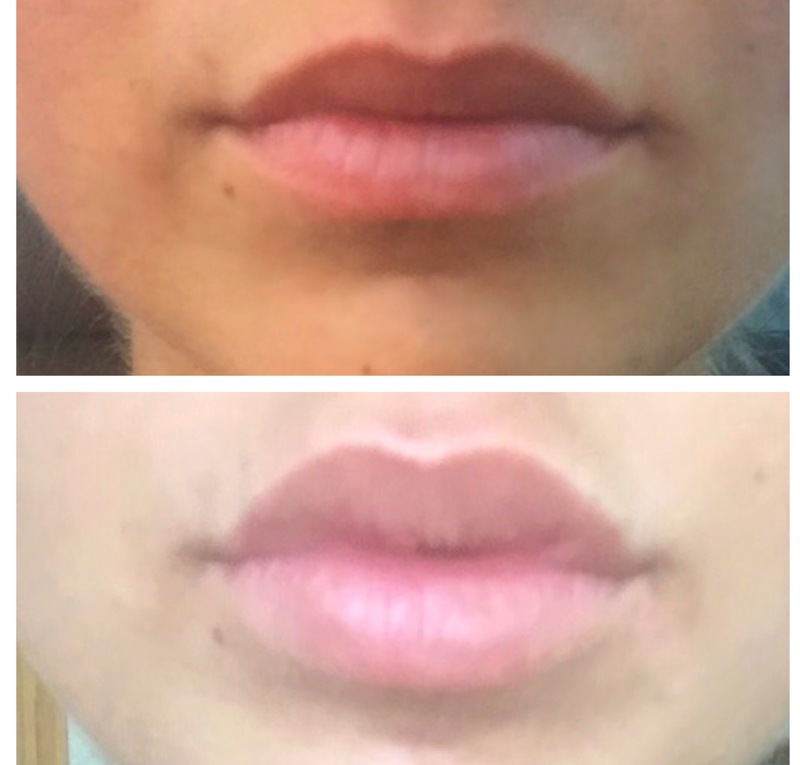 I’m very open-minded about the latest, cutting edge procedures as long as they are worth it and deliver optimal results.” For Angela, her main concern was her pout. She wanted the fuller, plumper lips that men and women lust for- especially drawing more attention when she flashed her already gorgeous smile! Angelina Jolie, Marilyn Monroe, Eva Mendez, and Jennifer Garner all have one thing in common – they are most famous for their perfect lips. In some cases, it’s their iconic pouts that made it possible for them to achieve the fame, fortune, and success that they have had. While we’re not all blessed with luscious lips, modern medical advances have made it possible to get a whole lot closer to the perfect, youthful, and plump pucker that drives us wild- Enter Kylie Jenner. With such major influence over maturing millennials, the lip revolution and evolution is upon us. Lip augmentation can be done in a variety of different ways, including collagen injections, surgical alterations, and solid lip implants. Thanks to the wide variety of different options, women and men who want a better pair of lips have a number of different ways to improve their visage. Some procedures are minimally invasive and semi-permanent. Others are permanent, and done under general anesthesia. Since there is such a wide variety of different treatments, it’s often best for patients to know what they want before they go through with their lip augmentation plans. Each option has its own perks and pitfalls, which means that the best kind of lip augmentation will vary from person to person. For example, a woman who decries her thin lips might find that a series of lip injections will give her lips a fuller, more “bee stung” look. On the other hand, a woman who is tired of getting stared at for a lip that is uneven may find that corrective surgery is the best option. When making the decision to choose a lip augmentation procedure, it’s best to figure out what you do and do not want in your lip augmentation plans. The more you are willing to share with your doctor, the better equipped he will be to tell you what procedure would be best, and how to make the most of your lip augmentation. The first time Angela sought out a board-certified surgeon, she didn’t get the outcome she anticipated. “My experience was bad. I was referred by a friend who had awesome lips and went to this particular doctor. It was in the basement of a salon.” According to Angela, there was poor communication. The treatment felt rushed by the physician, there were no instructions for the recovery process or what to expect, and it was painful! Most millennials simply do not know any better, or oftentimes if the price is affordable- don’t seem to care. Angela even gave lip injections a second chance which prompted even worse results, a reaction to the injectable. The moral of the story is millennials are so anxious to transform themselves for their photos, they are missing the bigger picture. It wasn’t until Angela was introduced to Dr. Gordon Kaplan, a board-certified specialty surgeon that she really felt in the right hands. –And after all, this is your face we are talking about here. Dr. Kaplan specializes in Breast Reconstruction, Head & Neck Reconstruction, Hand Surgery, and Aesthetic Surgery. He caters to his clients by offering them the latest techniques and innovative treatments for full facial rejuvenation, specializing in such facial fillers including Radiesse, Juvederm, and Botox. “Dr. Kaplan was extremely thorough with educating me and his technique. He even made me look at myself in the mirror and question my motives and expectations for my desired appearance,” said Angela. No one is going to stop this generation from the cosmetic advancements that are at their disposal. It is imperative that top, board-certified surgeons do not take advantage of their social vulnerability. This is all they know. Enhancement is a social norm. Since young adults are more inclined than ever, the message to the millennials is to invest in the right surgeon who has your best interest in mind.